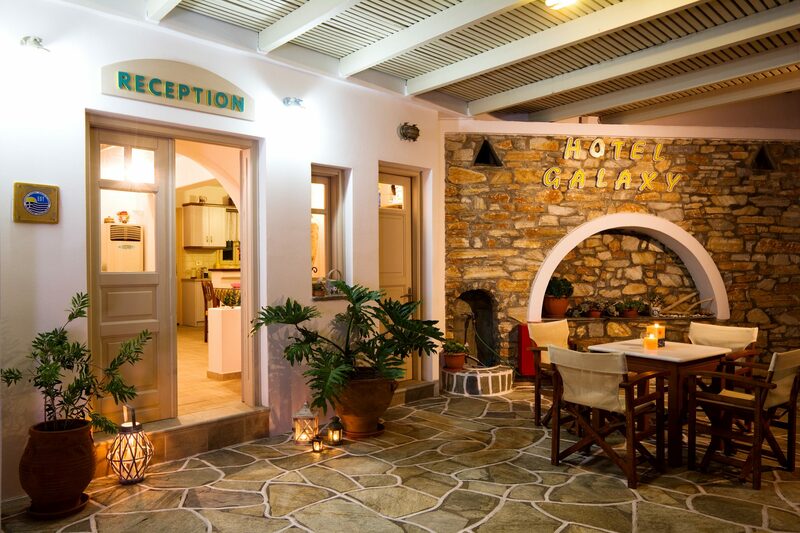 Galaxy Hotel is located in Mylopotas, the island’s most popular seaside area. Just a step away from Mylopotas’ crystal clear waters, our family-run business is bound to make your visit to our island an unforgettable experience. 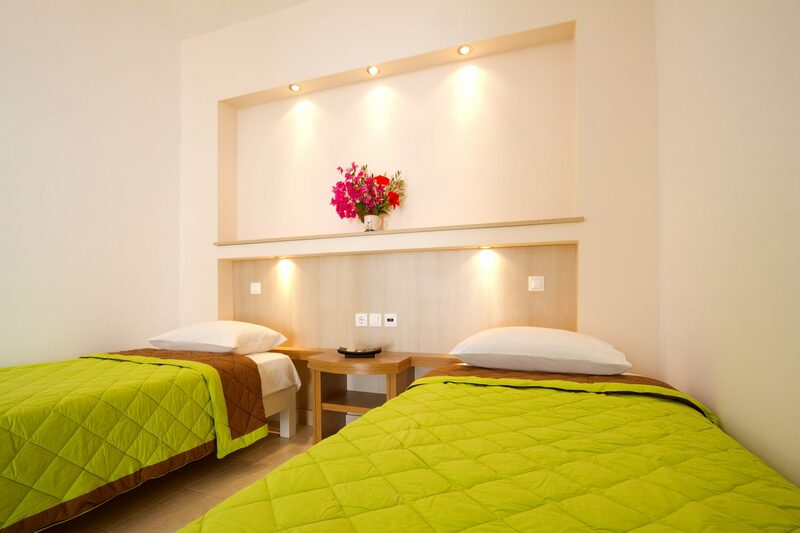 Our accommodation facilities are few metres away from both Mylopotas’ central area, the bus stop and the central road with a variety of popular bar and restaurants. During your stay, our helpful and pleasant staff will take care of your needs and provide you with any information needed regarding the places worth visiting in Ios. Sixteen fully-equipped rooms are provided in order to fulfil all of your needs, as well as a brand-new pool bar, to intrigue you with original and tasty delights and refreshing beverages. 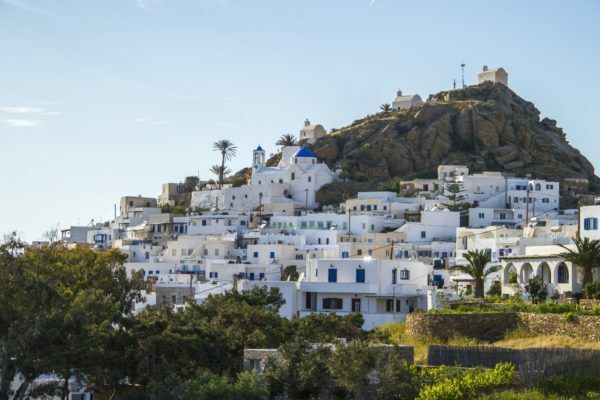 Sixteen modern rooms, influenced by the Cycladic clean-cut and pure architecture as well as the earthly colours of the Greek countryside, are provided by our family-run hotel. Our hotel offers excellent quality of services, as it can provide you all required commodities via a variety of products and services. Galaxy Hotel is constantly trying to surpass our visitors’ expectations in order to create unforgettable memories. 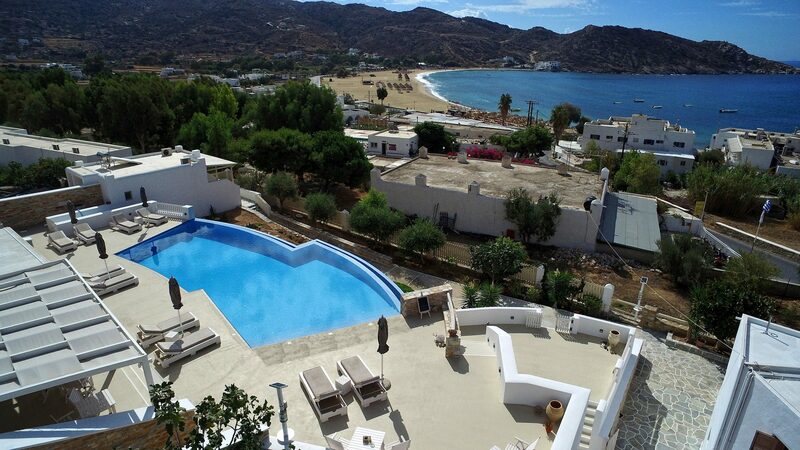 Enjoy the warm and radiant Aegean sun and get refreshed in the crystal-blue waters of our pool at Galaxy Hotel. Relax next to the pool, laying on comfortable sunbeds, revelling in drinking a cocktail and taking in the unique beauty of sandy Mylopotas beach and its azure waters, accompanied with selected genres of international music from early morning hours till dusk. 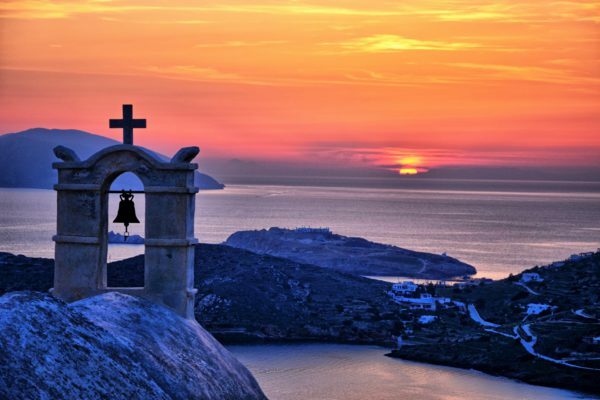 A visitor can wander around the traditional stone carved paths and experience the true Cycladic architecture first hand. 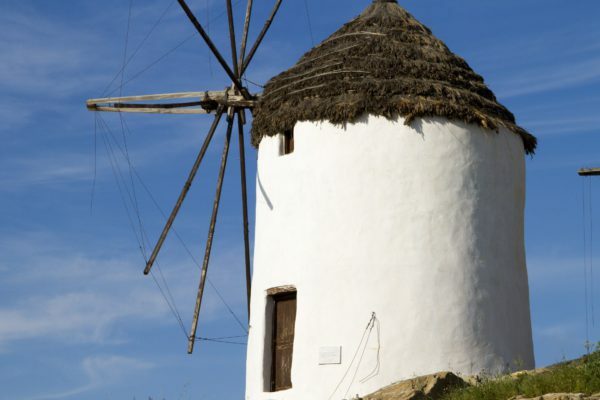 One of the most breath-taking sights is the windmills. Although non-operative nowadays, they still stand on the northeast side of Chora.